Rock's Backpages is the only comprehensive online database of pop music writing in the world. It is a unique resource unavailable elsewhere online. The database contains an ever-expanding collection of primary-source, full-text music writing. Sourced from the pages of the music and mainstream press, it is a library of articles (reviews, interviews, features and more) from the early '60s up to present day and includes a growing collection of exclusive audio interviews. As of April 2016 there are over 30,000 primary source articles on the site and 450 audio interviews. These feature over 4,200 artists and range from 500-word album (or concert) reviews to 15,000-word interviews and features. 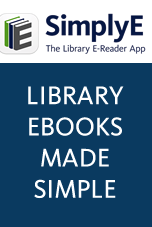 The library is currently increasing in size by over 50 new text articles and one audio interview per week. The articles are full text and fully searchable (by artist, date, genre, keyword etc.) including a faceted ‘advanced search’ option. Written by over six hundred of the best writers in music journalism, they are taken from the widest possible range of publications in the US and UK: from Creem and Trouser Press to Rolling Stone, and from New Musical Express and Melody Maker to MOJO. The archive covers all types of popular music from the 1950s to the present: from Abba to Zappa, the Stones to the Stone Roses and from Elvis to Eminem. There are, for example, 187 articles on the Beach Boys and 359 on the Rolling Stones. The library includes previously unpublished pieces about The Beatles (by Michael Lydon in 1966), The Doors (by Lester Bangs in 1975), and seminal interviews (128k mp3) with major artists from Bob Dylan to Radiohead. All the material in the database is presented with the full agreement and permission of the copyright holders – freelance writers and journalists – or of their estates, and the vast majority of this material is exclusive to Rock’s Backpages. Engaging and entertaining social networking links for all user types and demographics via Facebook, Twitter, Tumblr, AudioBoom and Instagram including additional content such as images, videos and animations.